Need Bulk Trash Pick Up? 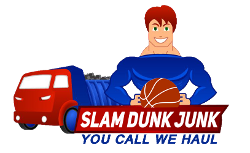 Slam Dunk Junk offers Bulk Trash Pick Ups services to homeowners, businesses, property managers, and facilities managers in Virginia, Washington DC & Maryland. As soon as we get your call, we spring into action by arranging our crews and the proper number of trucks, all designed to remove your Bulk Trash Problem Fast. Slam Dunk's trash pick-up services are an affordable alternative as oppose to dumpster rentals. 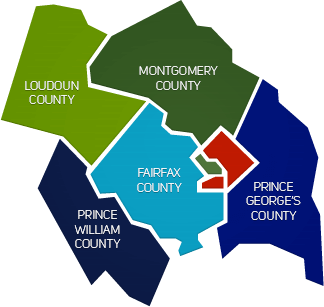 Our clean-up crews are professionaly trained to haul away used electronics, furniture, excess garbage, renovation & construction debris and yard waste in a clean and efficient manner. Bulk trash removal includes all-at-once pick up and same-day services. Our goal is to save your valuable time and hard earned money. Slam Dunk will take the unwanted trash and large bulk items that most other companies won't accept. No job is the same, with that in mind we approach each property with innovative safe and customizable solutions.